Happy Women’s History Month! This March, take a moment to remember and celebrate the generations of women who have made this world a more beautiful place to live in. Today, I celebrate Julie Fang, a Hmong female vocal artist who I admire and grew up listening to as a young teenager while aspiring to sing professionally one day. 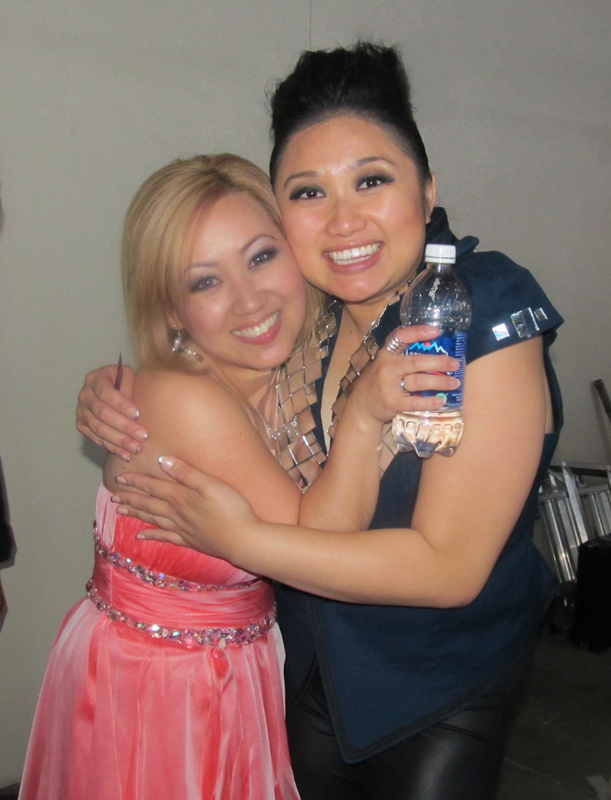 In 2012, I humbly received the honor to share the same stage with Julie and other Hmong artists as we performed a live version of “Hmoob Yuavtsum Hlub Hmoob” at the Hmong Music Festival in Fresno, CA. Not only, Julie and I had the rare opportunity to spend some time together backstage. Be yourself. Throughout the years of her music career, I remember Julie with different hairstyles and hair color. At my first Whyteshadows concert, Julie sported bright and beautiful auburn red hair. It was so hot! I think she may have had a different hair color on almost every album cover Whyteshadows released too. Haib tiag tiag! I admired her sense of individuality, when I was growing up in a community that had many voices telling me who I should be as a young female. I wanted to be like her – free to choose, free to be, and free to sing. Original music stands the test of time. Whyteshadows released their first album in the late 90s. It’s been roughly 15 years since their last album. I covered “You Are The One” in France back in 2010. Today, I am still listening to Julie’s songs and it takes me back in time, no matter how bittersweet. The songs she sung always spoke to me, and they still do today. Thank you for showing us that Hmong artists can create original music that stands the test of time. I hope this blog post makes you think about the women you want to celebrate this month. If you have a special woman you are celebrating, please share who she is below. I would love to hear more about the beautiful contributions made by women in our world today. Happy Women's History Month!